Read the entire report, there's a lot more of great interest. William Pepper, legal advisor to the New York City 9/11 Ballot Initiative, today explained why the initiative's board has decided not to pursue the case any further. 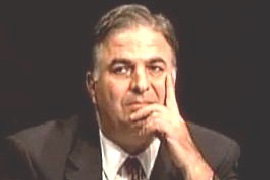 Appearing on the "Fair and Balanced with Kevin Barrett" radio show (archived here) Pepper said the odds of winning an appeal were too slim to justify the resources such an appeal would consume. Instead, he said, the NYCcan.org legal team is hoping to file a civil suit by 9/11 family members and others in a legal venue carefully selected to maximize the chances of success. Pepper also confirmed the rumor that a professor who is an expert on election law refused to help NYCcan.org after Pepper was unable to promise the professor that the results of a genuine 9/11 investigation would not hurt Israel. William Pepper and Alex Jones discuss MLK, RFK and the current state of our republic. 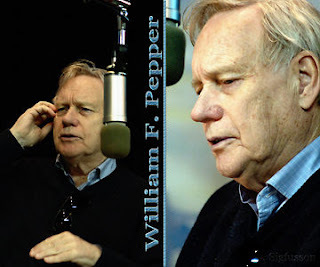 Dr. William F. Pepper is an internationally acclaimed lawyer who defended James Earl Ray in a 1999 civil trial (supported by Martin Luther King's family) where the jury found Ray not responsible for the MLK assassination. Now Pepper is defending Sirhan Sirhan for the assassination of Robert F. Kennedy, a case he says is “an easier one than the assassination of Martin King and the innocence of James Earl Ray”.